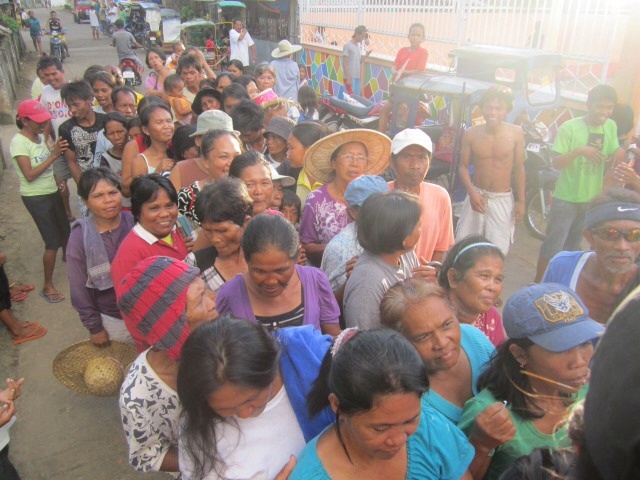 More people lined up to claim their relief goodies. 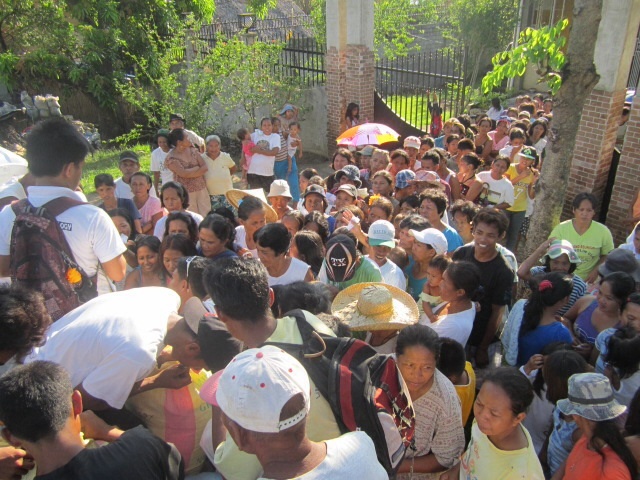 Organized distribution day of relief goods. 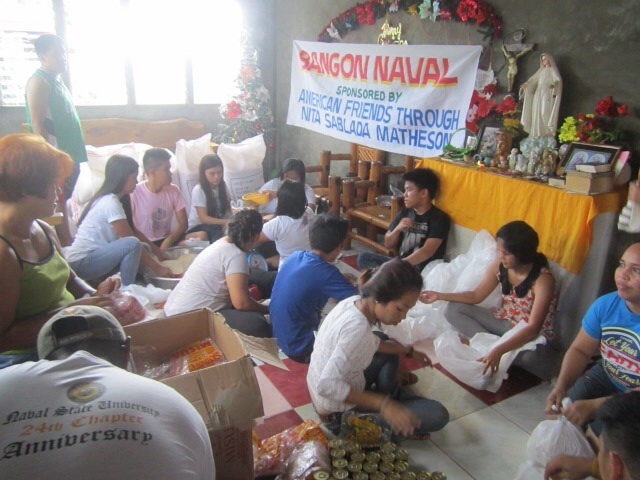 Distribution Day of Relief Goods. 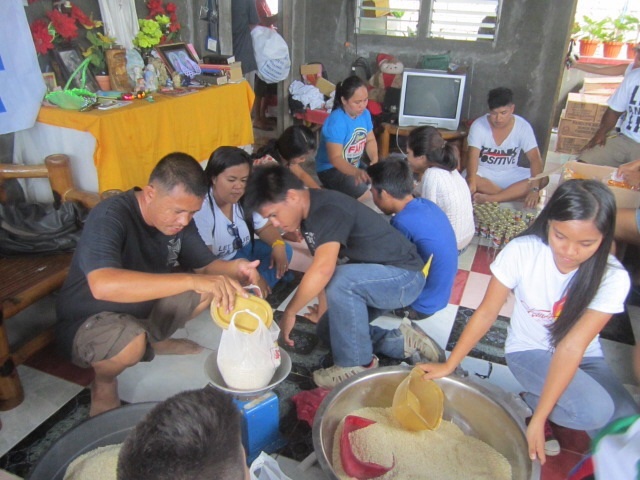 Repacking of rice to be distributed to about 700 families. 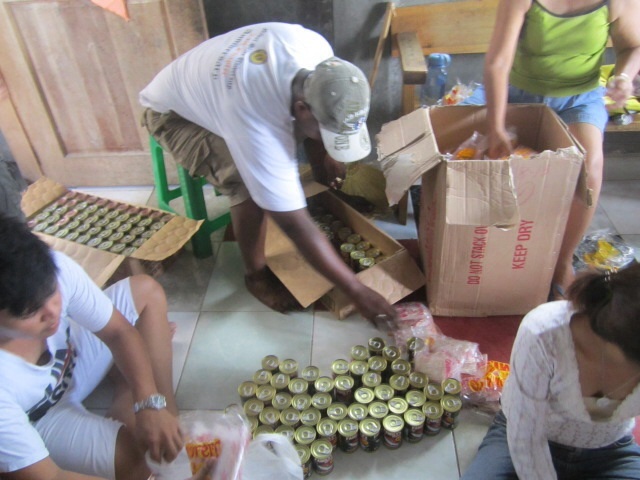 Repacking of canned goods and noodles. People helping people. 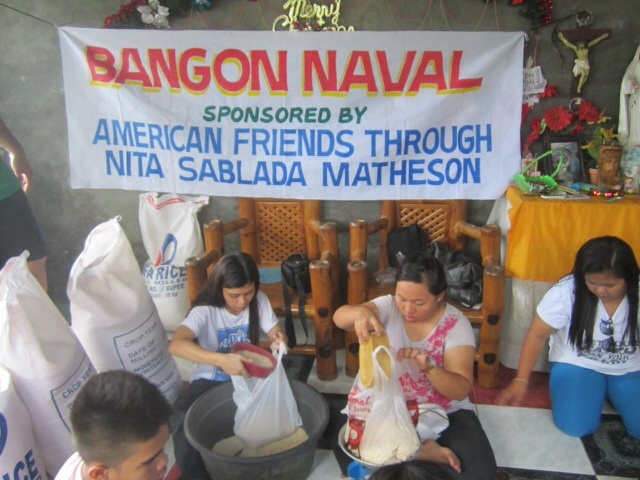 Repacking of relief goods donated by American friends of Nita Matheson from Washington DC area. 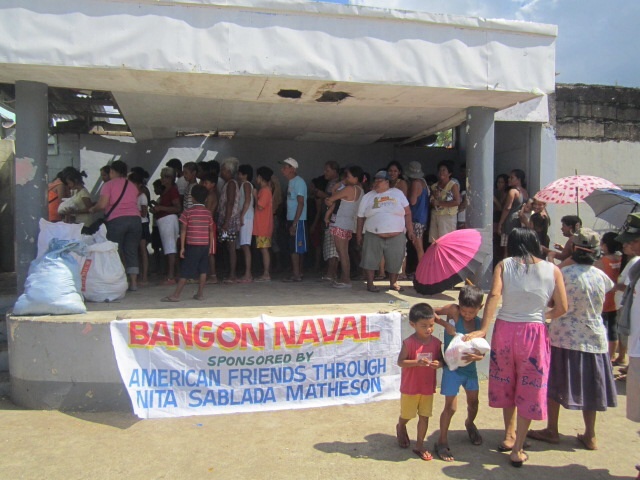 Weeks after Yolanda typhoon - repacking of relief goods to be distributed to typhoon victims in Naval. John B. Heiston and Nita S. Matheson both federal employees of Washington,DC.